U of Guelph, here we come! The final out-of-town performance of Sea Sick, The Play this fall is in Guelph at the university’s Luscombe Theatre at 7.30 p.m. on November 22. Students get in free! ← Touring Ontario this fall! Yippee! Touring Ontario this fall! Yippee! Sea Sick is now touring internationally. We were at the Sydney Festival in January 2018. Thanks for the great time! 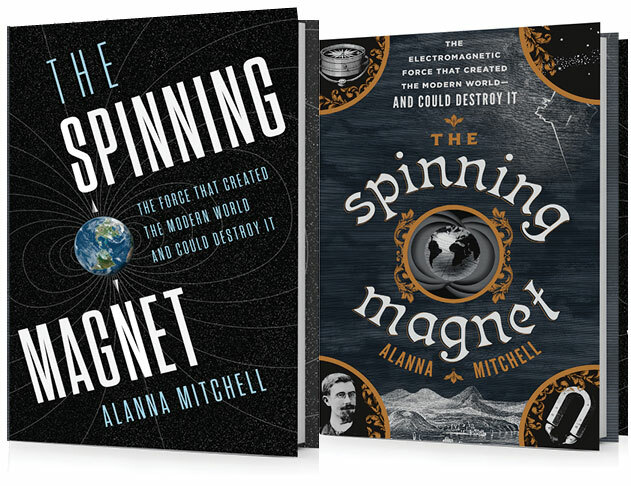 The Spinning Magnet, my new book about the Earth’s magnetic field, has just come out in the U.S. (Dutton) and Canada (Viking). The U.K., Australia and New Zealand are following in June with Oneworld.